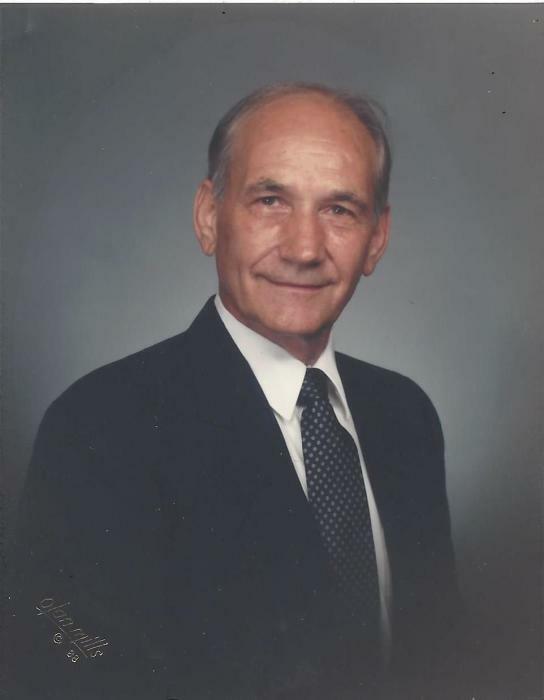 John Dudek, 96, of Greensburg, died Friday, February 8, 2019 in Hempfield Manor. He was born on August 12, 1922 in Moween, a son of the late Walter and Rose Leis Dudek. He was a member of Blessed Sacrament Cathedral, Greensburg. Prior to retirement, he was the meat department manager at Davis Super Market, Greensburg. John was a WW II, Army veteran and landed on Utah Beach, Normandy, France. His unit was also involved in the liberation of German concentration camps. He was a member of V.F.W. Post 33, Greensburg and the Disabled American Veterans. In addition to his parents, he was preceded in death by his son, John W. Dudek; brothers, Walter, Henry, Andrew, Stanley, Frank and Benny Dudek. He is survived by his wife of 67 years, Blanche Summerville Dudek; his children, Bonnie Dudek, Joseph Dudek and his children, Joseph and Nicole Dudek, Amy McVay and her husband Kelly and their children, Lily and Max McVay; sisters, Dorothy Nally, Frances Fiola and Julia Seaton; a brother, William Dudek and his wife, Mary Ann; also, many nieces and nephews. Family and friends will be received on Tuesday from 2-4 and 6-8 PM at Kepple-Graft Funeral Home, 524 North Main Street, Greensburg. Prayers of transfer will be held in the funeral home on Wednesday at 9 am followed by John’s funeral mass at 9:30 am in Blessed Sacrament Cathedral, Greensburg. Entombment will follow in Greensburg Catholic Cemetery with military rites accorded by V.F.W. Post 33, Greensburg. For online condolences, please visit www.kepplegraft.com .